Call Max at 785-695-2216 for more details. Cenex® Premium Diesel Fuels now contain an enhanced additive that continues to address the needs of new diesel engine technologies. It contains an improved injection stabilizer essential for modern engine technology including upcoming Tier 4 Final EPA emission standards that combats internal diesel injector deposits (IDID). The enhanced package meets the demands of both new and existing technologies. 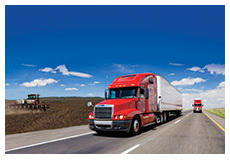 In fact, no other diesel fuel on the market contains a more complete, balanced and quality additive package. It’s news your customers will want to hear, and news that will help your business grow. Lu-bri-cant [loo-bri-kuh nt] Noun: A substance, as oil or grease, for lessening friction, especially in the working parts of a mechanism. Over the past couple months, we’ve reinforced the benefits of various components of the additive package; but this month we’ll stick to the basics. The key purpose of lubricants has remained unchanged over the centuries, but the degree to which we can control the frictional properties has improved due to the use of Friction Modifiers. As the name implies, Friction Modifiers are used to modify or reduce the coefficient of friction and improve energy efficiency. What is the coefficient of friction and what does it mean? The coefficient of friction (COF) is the ratio of the force of friction between two materials and the force pressing them together. The value is determined by the materials involved. For example, steel on steel would have a higher value than steel on ice. In terms of value, the COF of non-lubricated surfaces is 0.5 and higher and the COF of a friction-modified film is about 0.01 to 0.02. Thus, friction modifiers are used to reduce this ratio and force of friction to produce a smoother transition. It’s helpful to think about FM’s as that plastic coating on playing cards that reduces the amount of friction as you slice the deck. How do Friction Modifiers reduce the COF? And, how do they differ from Anti-Wear additives? FM’s are produced from a number of chemicals and combine with other additives to produce a lubricating film. Resembling a carpet-like structure, these friction modification films consist of a close-packed, neatly arranged group of multi-molecular whiskers or tails that loosely adhere to each other. The outer layers are easily sheared-off, allowing for a low COF. As Anti-Wear agents protect the mating metal surfaces, the FM’s produce an initial buffer system to ease the process. If friction modifiers are not used, the system defaults to an Anti-Wear regime. Consisting of semi-plastic deposits, Anti-Wear films have different mechanical properties and are harder to shear off; meaning their COF is moderately high under shearing conditions. What do manufacturers look for when selecting FM’s for their formula? Are they all the same? Since FM’s are surface-active materials and compete with other useful additives, manufacturers carefully select the right FM’s for their products. The strength of the film is dependent upon the configuration of the FM structure, the base oil chain length, and its overall concentration levels. The configuration of the FM’s carpet-like molecular structure determines how many molecules are adsorbed on the surface. Fine, thin molecules produce a stronger film because the “tails” adhere more closely. Also, as different base oils require different FM’s, manufacturers must consider these properties and how the FM’s interact with other additives. The “concentration” of FM’s is important as well. A concentration above a certain point may not show improvement, so cost and overall effectiveness must be evaluated during initial product testing. Friction Modifiers are not created equal and each Cenex lubricant product is scientifically formulated to meet or exceed the amount of protection required. As discussed in the selection process, it’s important to consider the properties of each additive, its relationship to the base oil, and its chemistry within the unique additive package. Each component is carefully analyzed, with key priorities in mind – superior performance, energy efficiency, and cost effectiveness. It’s these priorities that help create Cenex lubricant products that meet or exceed industry standards while being the very definition of premium lubricants at a competitive price.